Fishing rights legally acquired by the company – which declares itself as “one of Europe’s leading producers of frozen pelagic fish” – fish that don’t live near the shore or the bottom of a lake or sea – has allowed it to strengthen its position within the Irish fishing industry. The Killybegs company has bought some vessels and acquired the landing rights held by others – a situation which, critics say, poses a threat to other fishing ports competing for Irish waters. Industry sources say it has effectively led to the introduction of “individual transferable quotas by stealth” – the type of privatised quota system Ireland has long argued, in Brussels, threatens small fishing communities. During December’s fish talks in Brussels, where the Irish fleet secured a 6 per cent quota increase, Minister for the Marine Michael Creed stressed Ireland remained committed to public ownership for quotas. Ireland, he said, did not want a situation where fewer and fewer larger players controlled catches in Irish waters – which amount to 22 per cent of the European Union’s total sea territory. Creed’s department, however, is fully aware of Atlantic Dawn Group’s legal trading of the fishing rights attached to the Atlantic Dawn itself and its one-time fleet sister, the 5,206-tonne Veronica. The €63 million Atlantic Dawn was built by an Achill fisherman, the late Kevin McHugh, in a Norwegian shipyard and launched 16 years ago, financed by an Irish banking syndicate and helped by Norwegian government subsidies for its shipyard business. The McHugh family still plays a leading role in the Atlantic Dawn Group. After Atlantic Dawn was built, it was initially refused fishing rights because of a rule that a vessel or vessels of equivalent tonnage and engine size (kilowatts) be first taken out of service, in an effort then to cut the size of the EU’s fleet. Under rules introduced in the late 1980s, the Irish fleet was divided into categories. Licences were linked to a vessel’s tonnage and engine power and tonnage could only be traded between boats “in the same fishing category”. The curbs were designed to prevent the more powerful pelagic (mackerel/herring) sector from buying up capacity in the less-lucrative whitefish fleet which sustained a greater number of ports in remote Irish districts. Atlantic Dawn was given temporary licences by then marine minister Frank Fahey and placed on the mercantile register, but the European Commission threatened to take Ireland to court. Under pressure from Irish banks who had facilitated loans, a deal was agreed with then European fisheries commissioner Franz Fischler. Under it, McHugh’s existing 106m supertrawler Veronica was to be taken off the register. McHugh argued Ireland should be entitled to a share of the EU’s “third country” agreements to catch fish in international waters, pointing out that he was trying to do no more than Dutch trawlers were doing off west Africa. In 1996, then EU fisheries commissioner Emma Bonino had outlined a vision of fewer, larger vessels spending long periods at sea to provide cheaper fish to the European consumer. In the event, McHugh secured a private agreement to fish off the west African state of Mauritania, landing in Las Palmas and Morocco and reportedly providing employment for up to 500 people. One of the strongest critics of the concession was former Green Party TD Trevor Sargent, who said the new vessel had been given control over “half of the Irish mackerel quota”. In 2004, then chairman of the Public Accounts Committee Fine Gael TD John Perry said the State may have given indirect subsidies of €100 million to the owners – a claim rejected by the McHughs at the time. Perry, then Fine Gael’s marine spokesman, raised the issue in the Dáil saying that Bertie Ahern’s intervention in the licensing talks for Atlantic Dawn had brought a €40 million benefit for the owners. After the sale of Atlantic Dawn in 2007, Fianna Fáil’s then minister of State for fisheries, John Browne, told the Dáil “the vessel owners do not own the quota” and that it was a “national asset”. 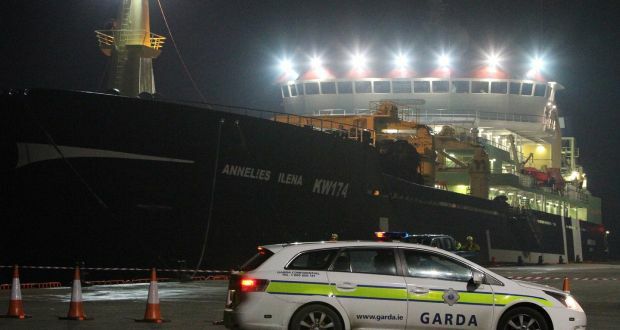 However, the tonnage rights vested in Atlantic Dawn have in turn been sold to other Irish vessel owners at a price inflated by the European Commission’s 2003 ban on owners using “safety” tonnage as a loophole to modernise. During the negotiations with Europe in 2002, the Department of Marine’s then assistant secretary-general, Sara White, heard concerns in a three-page memo from Josephine Kelly of the sea fisheries administration division. She pointed out the Atlantic Dawn Group should provide full replacement capacity, and questioned why McHugh was treated differently to others who had to do so “for even the smallest boat”. She warned that other players in the highly profitable pelagic (mackerel/herring) business would have to deal with McHugh who would “control entries to the pelagic segment for the foreseeable future”. This would “not be in the interests of the responsible management of the segment and the pelagic sector in general”, she wrote. It is understood that some 1,152 gross tonnes and 2,720 kilowatts from the Atlantic Dawn was used to obtain a licence for the Genesis II, part of a fleet owned or managed by the Atlantic Dawn company. The remaining tonnage and kilowatts have been sold to skippers in the refrigerated sea water (RSW) segment of the fleet, at about €10,000 per tonne and 5,000 per kilowatt. Donegal-based vessels Olgarry and Pacelli, along with the southwest based Menhaden were extended on this basis in 2016, among 17 vessels in total. Industry sources estimate the total value of Atlantic Dawn/Veronica capacity at €135 million, not including the €30 million reportedly paid for Atlantic Dawn by Dutch buyers in 2007, and €5 million worth of fishing haul revenue. Meanwhile, Atlantic Dawn fished off the West African state of Mauritania under a much-criticised private deal. Following a 2005 coup in Mauritania, the fishing rights were lost – although its owners denied breaking any rules. In October 2006, McHugh, then just 60, died after a short illness. Months later, Atlantic Dawn was sold to Parlevliet & Van der Plas, a Dutch company with 12 trawlers and fish-processing plants in the Netherlands and Germany. Renamed the Annelies Ilena, it is one of a fleet of Dutch supertrawlers that have fished in Irish waters in recent years – and which has been difficult to inspect, due to the extent of the freezing operations on board. In November 2013, the Naval Service patrol ship LÉ Roisín detained the Annelies Ilena. One charge was eventually dropped, but the skipper was fined €105,000 for technical offences. Environmental groups and fishing industry organisations have repeatedly called for stronger checks, but under the current rules the flag state is the one that must demand onboard observers. The Dutch Pelagic Freezer-Trawler Association, which says its vessels follow “gold standard” sustainability rules, says it has “no problem” with observers if every trawler is required to have them.